Do you need to catch up on episodes of Project Runway, or do you feel like bingeing American Pickers for a few hours? If so, you're in luck. 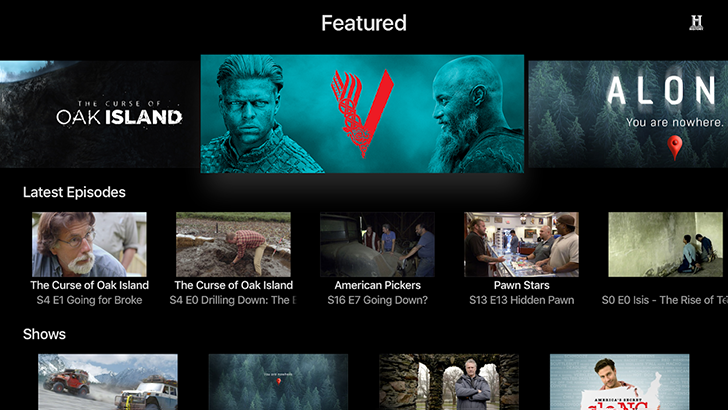 A&E Networks has just published four new Android TV apps, each for one of its channels - Lifetime, FYI, The History Channel, and A&E. All four applications have an identical interface, with a selection of clips and full episodes from popular shows. Android TV apps now available for A&E, Lifetime, FYI, and History Channel was written by the awesome team at Android Police.